Harvest time is something special, and this year was no different. My wife and I woke up at 5:30am to make the drive up to Stony Knoll Vineyards, where the owner, Van Coe, had graciously allowed me to purchase some of his Syrah grapes. 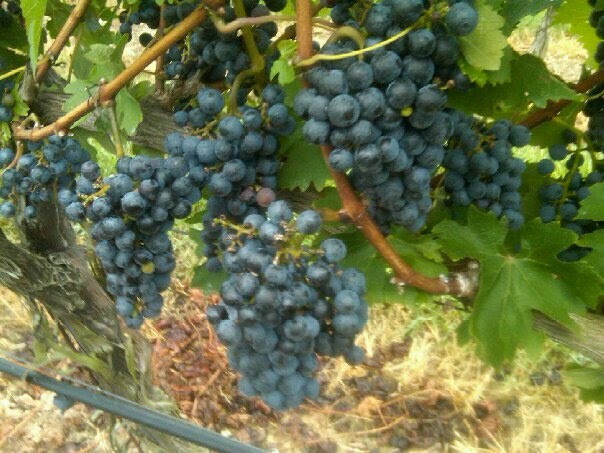 We got there around 7:00am, and walked out into the vineyard, where we proceeded to pick the grapes. Syrah grapes have an odd tendency to get twisted around the vine, and the trellis system, it makes picking the clusters off a little harder. This slowed us down a bit, but we had fun while we were doing it. The grapes were much darker in color this year than they had been in the past. The sugar levels were a little low (19o Brix), but that can be solved very easily by adding sugar to the must. We realized fairly quickly that we were a little slow in picking the fruit. Van had designated rows for us to pick from, with the understanding that eventually, his picking crew would catch up with us. His picking crew was lightning fast, it was like a swarm of locusts had hit the rows and the clusters of grapes just disappeared from the vines. But luckily, by 9:30am or so, we managed to pick about 486 pounds of grapes. We had to fit that much grapes into our Toyota Camry, so we used a new method of storing them. We used some Rubbermaid Roughneck bins, each about 18 gallon capacity, which can hold up to 100 pounds of grapes, if you feel like carrying around that much. We didn't want break our backs, so we spread them out a bit between the containers. 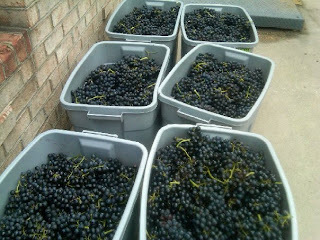 When we got home, we crushed and destemmed the grapes, the resulting must almost completely filled two 32 gallon Brutes! For those of you who don't know, some Brute plastic garbage cans are made out of food-grade plastic. From what I understand, it is only the grey, white, or yellow colored versions, and even then you want to check the bottom for a stamp that says NSF. They make great fermentation containers for red wine. The pH testing was a little troublesome. Our pH meter decided to "flake out", but luckily, we were able to get a reading of 3.85 just before it went completely crazy. We double checked that reading with Stony Knoll Vineyards, and theirs came out to be about 3.77, so its very probable that my reading was correct. I added a little bit of Tartaric acid to the must, and we'll check the pH again later on in the process to see if I need to make any other additions. We checked the sugar levels again, and one container came to about 18o Brix, and the other 19o Brix. So we added enough sugar to raise one Brute to 22o Brix, and the other 23o Brix. After that we added pectic enzyme, and some new additives to enhance color and mouth-feel, Opti-Red, and Lallzyme EX. Part of our plan for this year's Syrah was to ferment each container with two different yeasts. 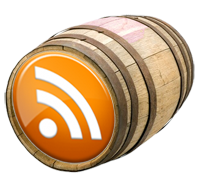 One was fermented with RP-15, a yeast I hadn't used before, but reportedly is used to enhance spicy or peppery characteristics of a wine. The other yeast was D254, one I used before with Zinfandel and Cabernet Sauvignon. That yeast enhances the jammy and fruit-forward characteristics of a wine. The plan is to combine these two together, to make a more complex, multi-dimensional wine. The containers fermented for about eight days before we pressed them, and ended up with about 39 gallons (one 15 gallon demi-john, and four 6 gallon carboys) of finished wine. They'll sit in the carboys until I get a 30 gallon Vadai Hungarian Oak barrel to put it in (or as much that will fit in it). I expect I will end up with around 36 gallons of finished wine from this batch.